My goodness have we been busy at the shop! I haven’t even had the time to write a blog post (last one was six months ago, gulp!). With that said, here’s a great one to kick off the new year. It’s a printable for cake pops with three of the popular characters from Disney’s Frozen … Elsa, Olaf, and Anna! 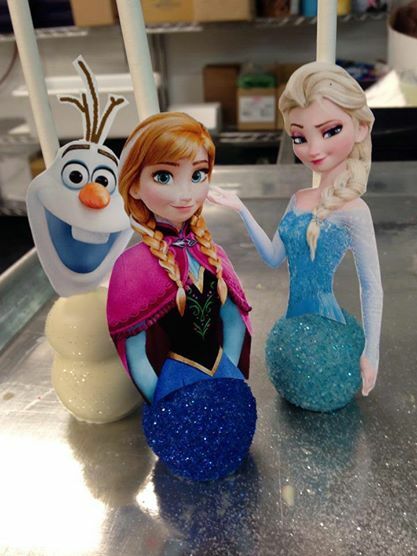 Here’s a photo to give you an idea of how you can use them on cake pops. Simply print out the jpeg below on card stock or other sturdy paper, cut out the characters, and tape them to the sticks…so cute! Disclaimer: This item is not for sale and is for personal use only. 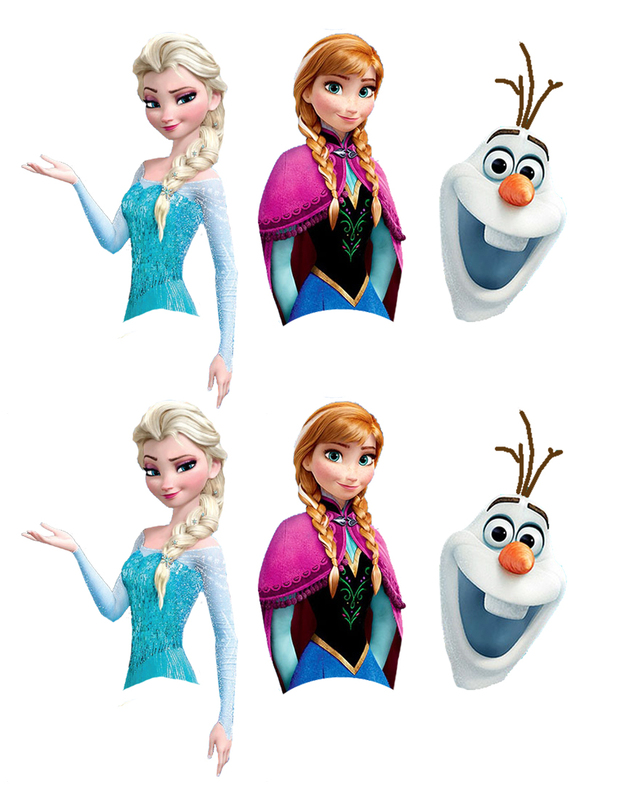 The Disney Frozen images were found using a google image search. Have fun and send us your pics! Cake Pop Recipes: UNICORN SPRINKLES! You can tell me If you have print The templates on paper or wafer paper? And for the skirts, you used glitter (as the rainbow dust glitter) or sugar glitter (as edible glitter rainbow dust)? In any case, you can tell me also exactly what brand is what that you used? I asked because I have to do these cake pops for next week and your are very gorgeous! We print on cardstock. Did you want the images to be edible? What size should I print iam not really sure. And they look gorgeous u did a great job. Pingback: Elsa-Geburtstag, der Erste | Baby-Alarm!